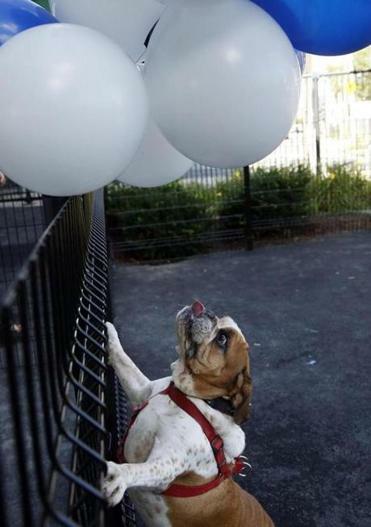 English bulldog Mack eyed the balloons at the Bremen Street Dog Park on Monday. Mack was very interested in the balloons at the ribbon-cutting ceremony. 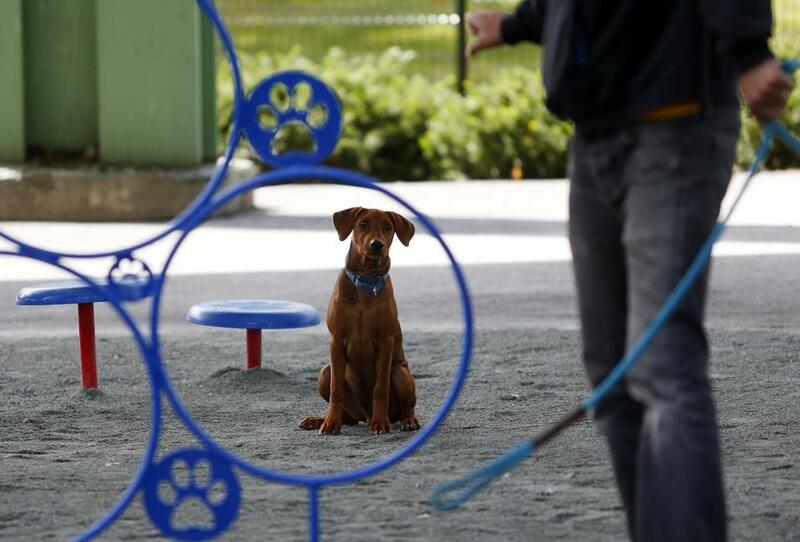 Dogs in East Boston are putting their paws together to celebrate the success of the neighborhood’s pet project, the Bremen Street Dog Park. 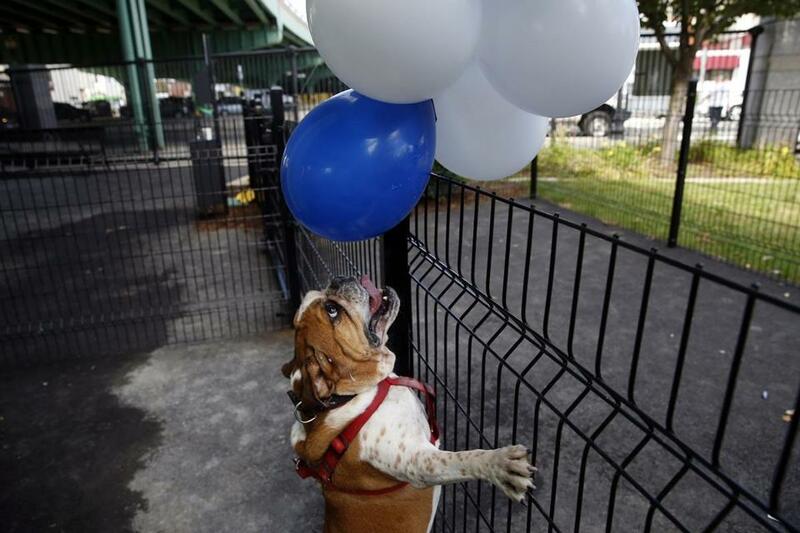 The park, located at the corner of Bremen and Porter streets, was opened by the Massachusetts Port Authority Monday morning at an official ribbon-cutting ceremony, though Massport chief executive Thomas Glynn said dogs began playing in the park several weeks ago. The park is broken into two sections, a 17,000-square-foot area for large dogs, and a 5,500-square-foot area for small dogs. Both sections have exercise equipment for the dogs, pet waste stations, and water fountains both for pets and their owners, Glynn said. April Abenza, a 37-year-old dog owner who has lived in East Boston for 10 years, pushed for the park along with two of her neighbors, Blythe Berents and Andrew Pike. The three first took their idea in the spring of 2014 to city officials, who said they would need upwards of $300,000 to open the park. Looking for a more financially viable option, Abenza said, they reached out to then-State Representative Carlo Basile, now chief secretary for Governor Charlie Baker. Basile connected the trio with Massport. Glynn said Massport officials feel responsible for quality of life issues in East Boston and South Boston because the authority’s facilities are located in those neighborhoods. Logan International Airport is just over a mile away from the new dog park. For residents, Abenza said, the dog park also creates a friendlier feeling by creating a place for neighbors and their pets to meet. A dog sat at attention as he waited for his owner’s command.